Spiral Valve Pouch The machine is a single-or double-headed screw valve with a built-in material feeder for feeding and weighing machines for filling dry powder or small particles into valve pockets such as cement, Binder powder, lime powder, fine sand, PVC particles, polypropylene particles and so on. The machine has two variable speed drives with fast and slow filling on the main screw feeder and a third slow feed unit with a vibrating feeder pipe to ensure the accuracy of the bag weighing. 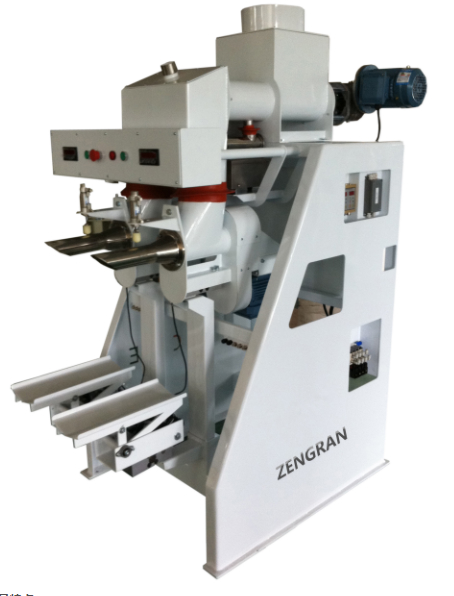 The DE-50-AV packaging machine weighs the bags and materials when filling the material. Double-screw-on system can be quickly packed (3-4 bags per minute, usually 20kg per bag), while ensuring a higher measurement accuracy! Application︰ Spiral Valve Pouch The machine is a single-or double-headed screw valve with a built-in material feeder for feeding and weighing machines for filling dry powder or small particles into valve pockets such as cement, Binder powder, lime powder, fine sand, PVC particles, polypropylene particles and so on. The machine has two variable speed drives with fast and slow filling on the main screw feeder and a third slow feed unit with a vibrating feeder pipe to ensure the accuracy of the bag weighing.